In the Company of barmaids and tavern wenches, Young Marlow is an incorrigible and self-assured rogue. In the presence of the beautiful gentlewoman Kate Hardcastle, he is reduced to a stammering, stuttering boy. Fortunately, Kate isn't afraid to dirty her hands to get what she wants and decides to "stoop" by disguising herself as a maid to woo, win and educate her future husband. 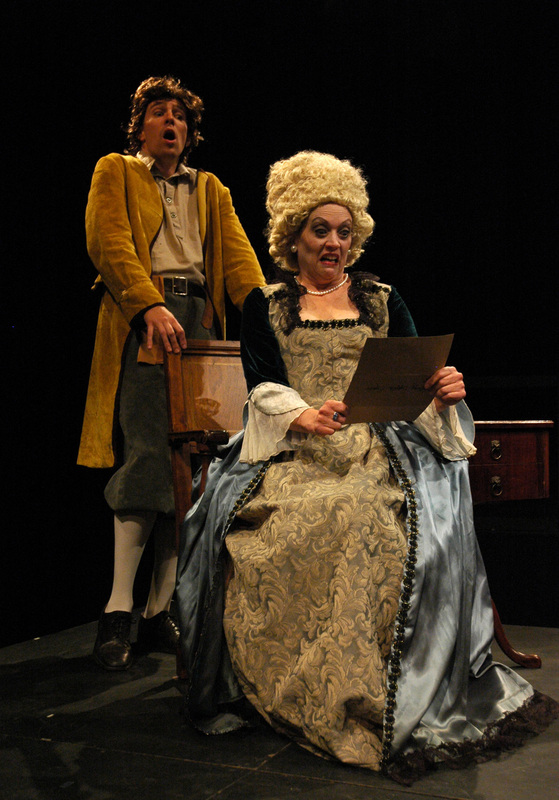 A tale of true love, mistaken identities, and never-ending battle of the sexes, this satirical look at materialism, romance, and social etiquette will prove as hysterically funny to Philadelphia audiences today as it did at its premiere nearly 200 years ago. Following his celebrated performance as Iago in last season’s OTHELLO, Quintessence ensemble member Josh Carpenter* will lead the fall repertory as Marlow in SHE STOOPS TO CONQUER. He will be joined by Quintessence regulars Sean Bradley as Tony Lumpkin (The Guard in ANTIGONE, Bassanio in THE MERCHANT OF VENICE), Rachel Brodeur Miss Constance (Nina in THE SEAGULL), Sonja Field as Kate Hardcastle (Raina inARMS AND THE MAN, Ellen in THE MISANTHROPE), Daniel Fredrick as Hastings (Poprishchin in THE DIARY OF A MADMAN), and Alexander Harvey as Guildenstern and Pimple (Emilia in OTHELLO) and E. Ashley Izardas Mrs. Hardcastle (Catherine in ARMS AND THE MAN, Marcia in THE MISANTHROPE). Quintessence is also excited to welcome the return of Matt Lorenz as Jeremy and Griffin Stanton-Ameisen as Diggory. They will be joined by John Preston* as Mr. Hardcastle, and Ralph Edmonds* as Sir Charles Marlow, both making their Quintessence debuts.